The insurance industry is a diverse one which offers room for growth, education and a invaluable work experience. Home to wide variety of jobs such as claims handling, risk management, investment, pensions management, sales, research.. there might very well be a position that’s fit for you. The exciting part of working in insurance lies in its wealth of opportunity, allowing for employees to quickly find a niche in which to succeed. 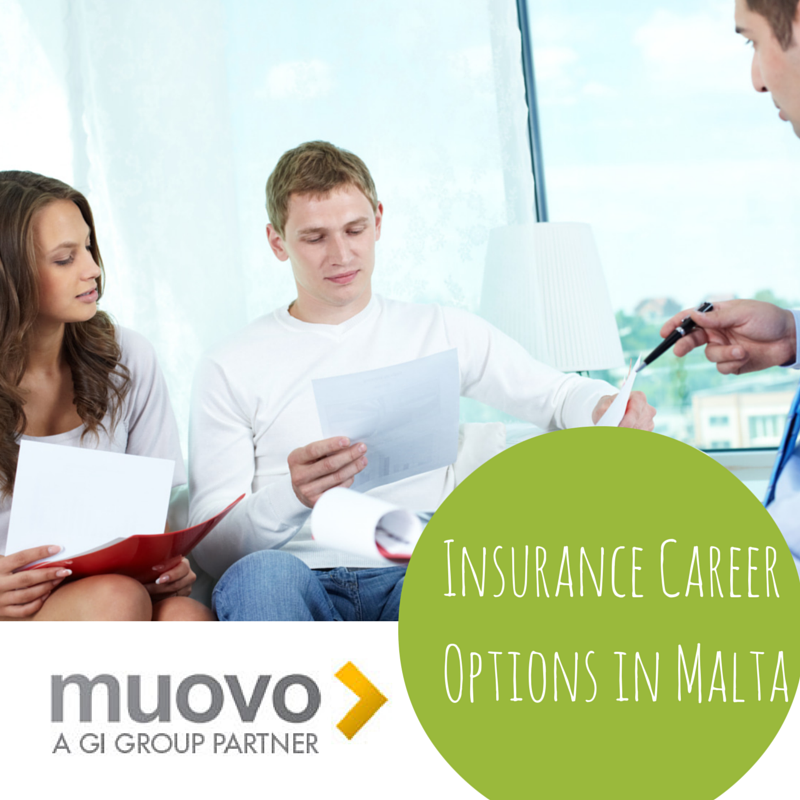 Insurance career opportunities in Malta are plentiful. There are several established companies available, with some well-known agencies offering a great working environment for you to begin your career journey. These include: Atlas Insurance PCC, Middlesea, GasanMamo, Citadel Insurance Plc., Laferla Insurance, Elmo Insurance, Bonnici Insurance, Allcare insurance ltd., Malta Insurance Association. Just like in other service industries, to get started you will need a University degree; however the nature of your studies will vary according to the position sought for. Speak to us and we can help you out with making this choice. The less technical traits an applicant will have to provide include good communication skills, good people skills, flexibility and the ability to adapt to different situations. The selling of policies or merchandise through presenting , influencing and ultimately convincing potential clients. Establishing and Maintaining relationships with customers, thus developing good relationships from the initial point of contact and sustain these relationships over time. Provide expert advice and consultation based on analysation and assessment of the situation at hand. It just so happens that after some time, doing the same job get tedious and boring, you begin to form new goals and seek more responsibility, a better pay or a more prestigious role. You want a promotion; don’t wait for it to fall into your lap. Seek the right job for you. When tasks are related to your personal strengths the quality of the work will exceed expectations, excellent performance is necessary for getting a promotion, as are qualities such as punctuality, prudency and enthusiasm. Keep in contact with your supervisor. Having a good relationship with your superior will help you identify your task more clearly thus enhancing your performance by getting it right the first time and also ensures that he is made aware of your efforts. Going the extra mile may seem useless if the people that matter don’t realise it. Be a good team player. Being liked by your co-workers is just as important as being liked by your boss especially if your aim is to be promoted to a supervising role. So lend a helping hand, socialise in the staff room and attend company events. Make your employer aware of your goals. It is important that the right people know that you’re interested in a higher position though ensure to word it correctly as of not to come across as being fed up with your current work. Find a mentor. Seeking career guidance from a superior will serve to not only improve your performance but also to form a bond with a person of importance. A strong relationship with someone above you could open many doors for you in the future. Working in the insurance field is one endeavour worth looking into, so get in contact with us and let us find a perfect role for you. The sooner you start your journey the sooner you’ll get to the top. They advise the bank on the investments which take place. This job entails long hours sitting at a desk yet the rewards make it all worth while. It includes the purchasing of assets, trade securities and offering financial assistance. Financial Analysts are generally required to have a minimum of a bachelor’s degree in subjects such as accounting, finance, statistics or economics. This job entails answering phones and dealing with international clients; mainly dealing with their daily issues,answering queries and upselling services. These employees may be at the front desk or over the phone. They are in charge of processing transactions, selling products and answering questions customers may have. Strong customer service skills are required for such a position though on-the-job training is given after employment. 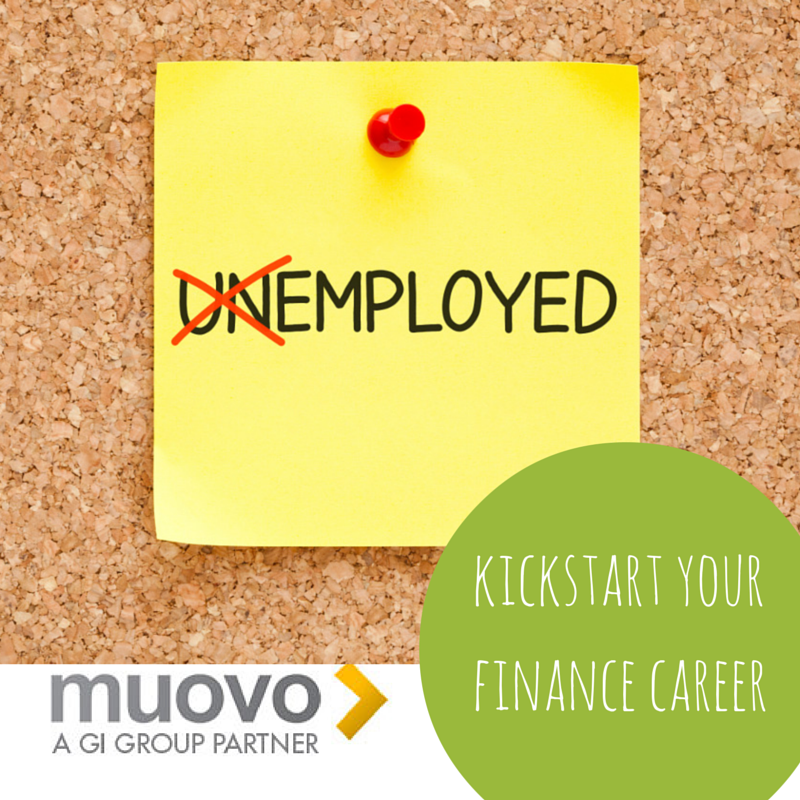 A very interesting and diverse field to enter, jobs in this sector include mortgage brokering, leasing and insurance. This job does come with its daily challenges however is one of the most rewarding of all banking positions. The financial manager reviews financial reports, budgets and carries out auditing of an organisation’s profit and losses. Supervision of accountants and financial analysts may also fall under the daily tasks. Such a role requires a minimum of a bachelor’s degree in finance and years of experience working in other financial positions. This job is focused on helping customers or the actual company plan their future. The work is driven towards creating value for the company and ultimately growth of the company. It is said to be a stressful job with substantial rewards when reaching long term goals. The job requires the understanding of estate planning issues, investments and taxes as well as strong interpersonal skills. This position entails the handling of online transactions done through mobile apps or the web. The digital system aims to make transactions more efficient and make customers’ lives easier so a strong I.T. background is of prime importance. Be it working with people or working with numbers, it’s quite likely there is a position in banking perfect for you. Banking professionals are given great opportunities and room to grow in the establishment. 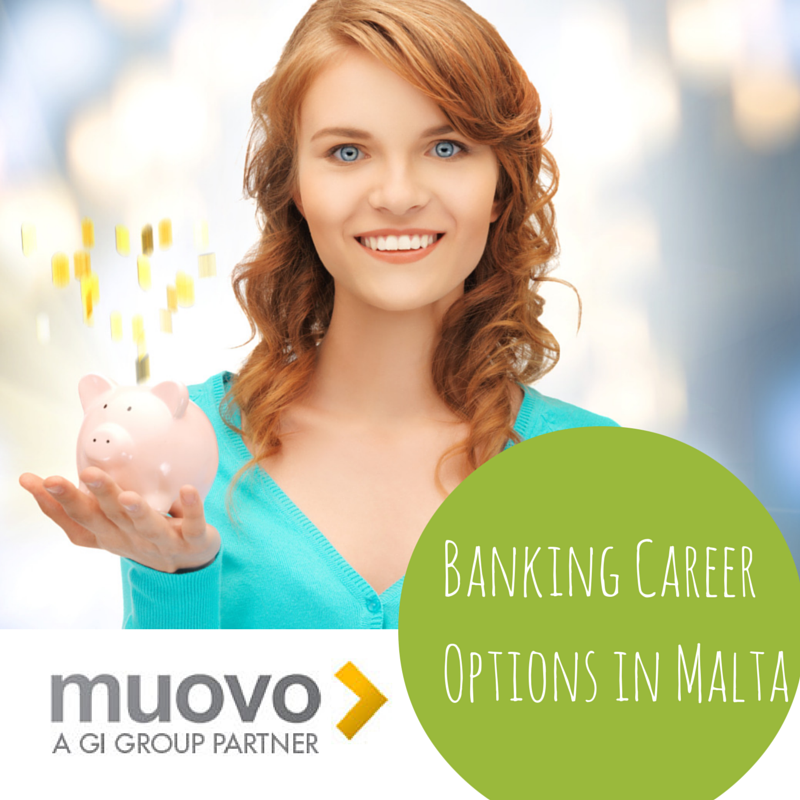 Get in touch with us and start your career journey in banking. The Sovereign Arab state of Qatar is known to be one of the most preferred destinations for people from all over the world due to its 5-star lifestyle. Home to an enormous reserve of oil and gas, it has an incredibly fast growing economy. In fact, Qatar was granted the title of the World's Richest Country of 2013 by Forbes. Note to nurses & physiotherapists: we have a number of exciting opportunities to work in the thriving health industry in Qatar, with very attractive salary & benefits: learn more here and here. Interested? Get in touch. However, travelling to such a destination may prove to be a drastic change from what you are used to here in Europe. So here are a few noteworthy details to help you prepare for such an opportunity. Family Visas are only available to those earning a minimum of 10,000QR approximately 2257E. A residence Visa takes about 2-6 weeks to apply for and is valid for 6months to 2 years. Once you have acquired your Visa you must then obtain a residence permit within a week. This process includes fingerprinting and medical tests checking for HIV, Tuberculosis and the like. A couple are forbidden to live under the same roof unless married. Drivers with a valid license from any country are permitted to drive a rented car for up to a week. An international License will grant you permission to drive legally for 6 months. You may apply for a Temporary License which allows for you to drive legally until you residence permit is processed. There is a 0% tolerance for drunk driving. Whilst salaries are impressive and petrol is super cheap, cost of living may prove to be quite steep depending on your lifestyle habits. Labour costs are quite cheap in fact its very common for one to have a live-in cleaner. 90% of food is imported from countries such as Lebanon and Turkey which means that everyday goods are more expensive than what we're used to as well as the fact that fresh fruit and vegetables are hard to come by. The cost of entertainment rose by 8.7% this year. In terms of accommodation, the average 4 bedroom Villa goes for about 13,000 QR (2914E)a month; whilst a 2 bedroom apartment in West Bay or the Pearl costs around 12,000QR (2690E) a month. Pork may be found in shops but is strictly for home use only. Alcohol may be purchased and consumed in one's home provided that the person is in possession of an alcohol license. They are free to wear whatever you like as long as you chest, shoulders and knees are covered. Qatar has an extremely well resourced health care system which offers free emergency treatment to all citizens and residents in possession of a government-issued health card. This card can only be applied for once your residence visa has been processed so many people opt for private healthcare. 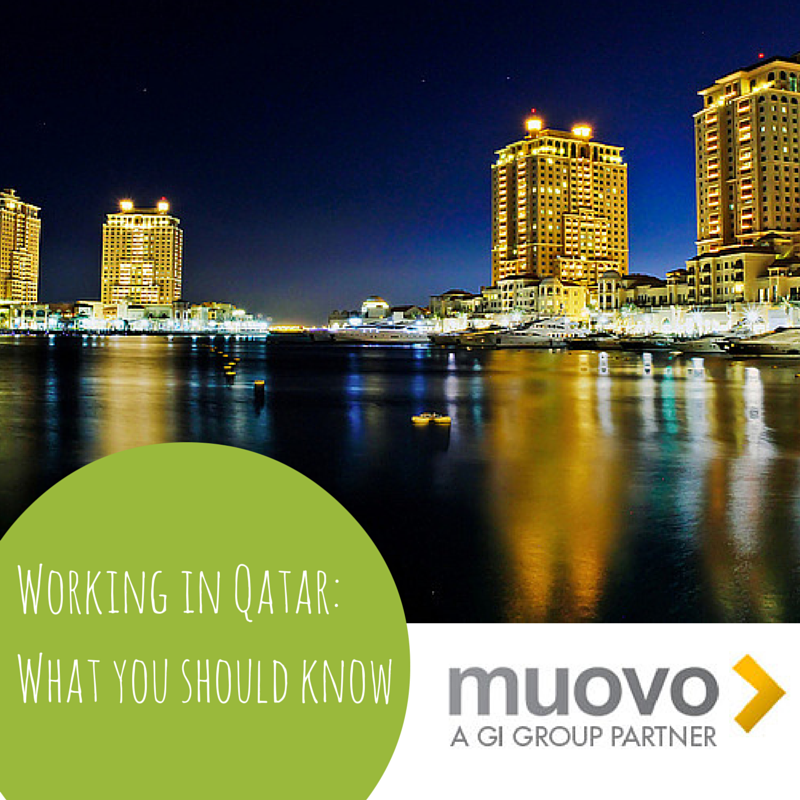 Further to this, the inhabitants of Qatar are generally very warm and welcoming, they are said to be friendly and very willing to help new visitors. If you are looking to enhance your career satisfaction and advance in your field a move to Qatar is a move in the right direction. Malta’s finance industry is booming; it has truly become a hub of opportunity. Naturally, local students are continually and increasingly turning to the field of economic services as an aspired career path. Fresh minds are a dime a dozen in this line of business which means standing out from the crowd is an extremely difficult task to master. Some expert advice can go a long way in helping you put your best foot forward and ultimately landing that dream job. Take it from the top, kick start your job search then follow through with a first-rate application to start you off on the right foot. Draw up some internal reports. Sit yourself down and have a good think about you goals and career aspirations. Locate where you are, where you want to be, and most importantly WHY you want to be there. Know the reasons behind your targets in order to catch sight of the light at the end of the tunnel. Research. Find out which companies do what you want to do, create a target list of organisations and do you homework. Find out their missions, values, competitors as well as their financial history. Use social media to help; follow your role model on Twitter and gain first hand insight on his/her daily tasks. Get help. Now that you know your targets you need connections to the industry. Seek help from professionals who can serve as the missing link to your chain and help get the ball rolling. Once you have a game plan you will need to update and fine tune your resume and covering letter. This is your first chance to make a good impression so dedicate a significant amount of time to its content and presentation. Bear in mind that the goal of your application is to land an interview with the employer thus, tailor your resume to this particular occupation. And certainly, proof read, proof read, proof read. Read your application out loud to hear what it sounds like, then get an outsider's perspective on your writing. If no one is around resort to resources such as http://www.hemingwayapp.com/ which can act as a proof reader for you. 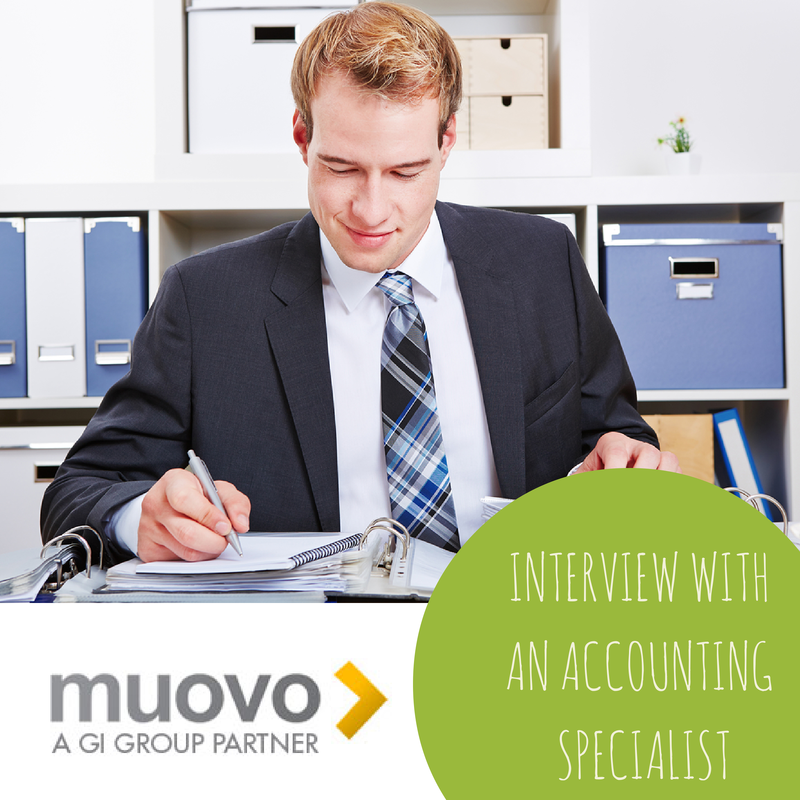 Interview: What does the job of an accountant involve? The financial services industry in Malta is one of the most stable and fast growing local industries which job seekers could tap into. To give you a clearer picture of the available opportunities out there, for the next weeks we will be publishing a series of interviews with professionals who live and breathe these roles. Our first guest is Mr. Clint Abela, an accountant by profession who is on his way to becoming a CPA (Chartered Public Accountant). Mr. Abela was kind enough to answer some of our questions that will help you understand what it’s really like to work in an accounting firm. What is your job title and what industry do you work in? How many years of experience do you have in this field? I am an Accounts Supervisor at a specialised firm providing accounting & auditing services to companies across a range of industries. I have been in this role for the last 4 years. Where/What did you study? Are you considering getting more qualifications? What would these be and are they essential? The role of qualifications in this career is essential as they prove you have a strong sense of focus, which is crucial for an Accountant position, where attention to detail is key. Personally I was exposed to the subject matter early on in secondary school. The subject appealed to me. To specialise, I continued on to MCAST to complete the 3 year Association of Accounting Technicians (AAT) course, which gave me a great headstart into the industry. After a while at the company, I decided to start following the ACCA examination pathway to become even more qualified. This is great because I can do it on a part-time basis and still continue working. My final exam is this December, after which I would consider continuing to focus on more specialised areas of accounting, such as accounting investigations. How Did You Get Your Current Role? Where did you see the vacancy? I am currently a Supervisor, a promotion I received based on my commitment for advancing in my skills and knowledge, and through the passing of industry exams. I originally started at the firm through word of mouth - there wasn't a specific vacancy available but I met them and having my CV on file allowed the company to call me up when they needed to expand. So it helps to be aware of the industry and to try and make connections with people who can introduce you to these companies. What are your advancement options? What do you want to achieve? The natural next step is to become a fully qualified accountant and possibly try and obtain some auditing experience as well. At least a full year of auditing experience is required before you can start signing off company audits, which is a position of higher responsibility I aspire to. There is also always the option of working abroad and gaining experience with a foreign company. What Does Your Current Role Involve? What does your day look like? It’s quite varied but includes making sure that the accounts department runs smoothly, carrying out higher level accounts routines, including the financial control of the firm’s finances and cash flows. I supervise and manage a team of 5 people helping the audit team on any accounting problems encountered in their audit and preparing payroll for the various clients of our company. What does the work environment look like? Do you work in a team or on your own? Do you regularly meet clients? We work very closely as a team - we think that each task can be done by more than one person so that work never stops and can be done in time. i do meet with clients - most of the time because work would need to be done from their premises. Sometimes we have queries on the work that needs to be done and therefore i arrange a meeting with them to discuss any difficulties. However matters regarding the engagement of a new client and how work will be done would be discussed by the partners. What appeals to you about Your job? What's your favourite aspect? What are the career opportunities like for accountants on the Maltese Islands? Luckily Malta is a great place for accountants since there are loads of job opportunities and there are lots of financial services companies in Malta. With so many betting and gaming companies coming to Malta the need for accountants is increasing. The only downside to keep in mind is that the same job abroad technically pays more, but Malta makes up for it because of its reasonable level of living expenses. What Qualities Do You Need to Succeed? What skills, technical and non-technical, are essential to succeed? Due to the quality of the work needed and the information one sees the person would be need to be highly ethical and be able to keep such information confidential. I also think you need to be open-minded and be capable of seeing the whole picture. By this, I mean you need to look at information and know exactly where it fits in the client’s processes. Other traits that help include professionalism (the way you behave); confidentiality; professional competence (having the knowledge to do the job); integrity and objectivity. Are you interested in accountant jobs? Search the latest available opportunities on our website. 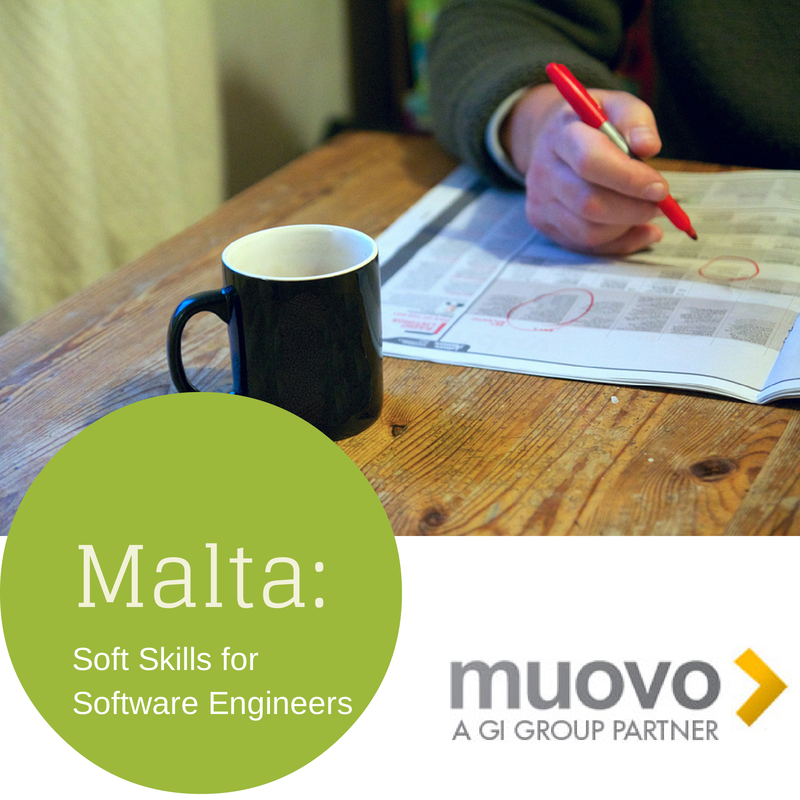 Great, you've become a software engineer, honed your technical and non-technical skills, understood the ICT industry in Malta and the companies that are hiring software developers in Malta, but do you know how to progress further? 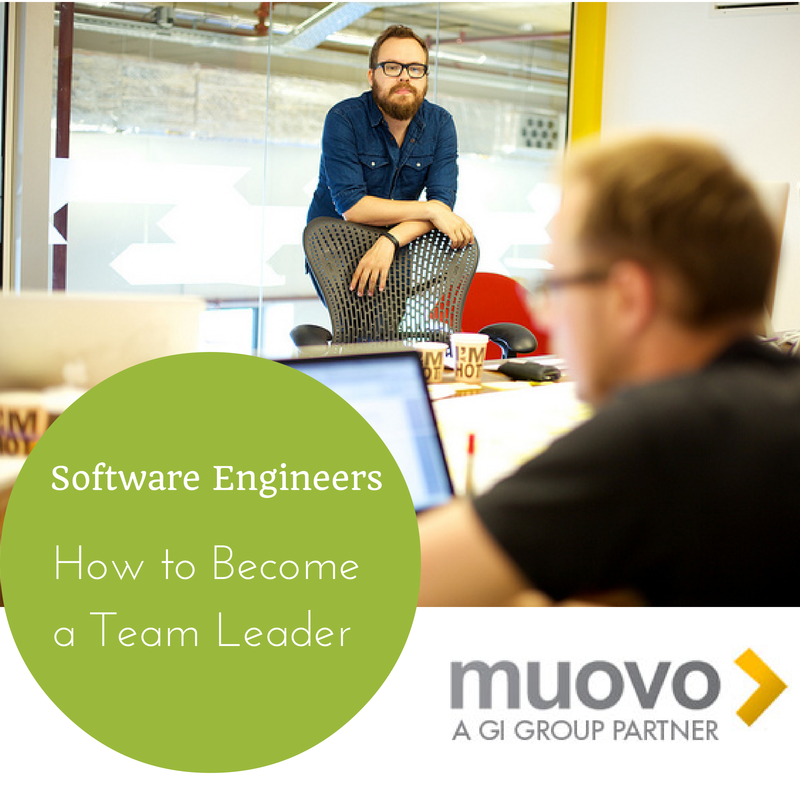 For many, taking the next step means leading a team of other software developers, but that requires a certain mindset. So we wondered: what are the common traits that people attribute to software development team leaders? Focus. A great team manager must be hyper-aware of the goals that the entire team must achieve, while working to make sure every member's individual aims are aligned to that overall group effort. A deep understanding of the client or project will go a long way to make sure the solution built is in line with the most important requirements, and that scope creep is avoided! Initiative. Anyone involved in leadership must naturally take charge. If you want to manage a team, you need to be able to take quick decisions without consulting anyone else, or explore possible avenues which have not been considered yet. A developer who takes initiative and makes suggestions has a high chance of being a team leader further down the line. Supportive. A competent manager is all about enabling the team. As a team lead, you understand that you cannot solve problems in a vacuum, so you need to develop your people by guiding and coaching them to grow and improve, and constantly create new synergies with other teams. Always take time off to speak to individual team members and understand what they're struggling with, and notice what they really perform well at so you can delegate future tasks of that type to them. Another style of supportive team management that works is regular "huddle" meetings: these are short (15 minutes or less), regular (daily or almost), and let team members update each other on progress. Leadership. Many people forget that leadership is not just about assertiveness. Your true value will lie in how well you work with others. Work on your communication skills: you need to excel at breaking down complex concepts into actionable instructions so that they are understandable by both technical and business users. This is a skill that gets you to become a go-to person in those important projects. It would also be helpful to work on your confidence, as leaders cannot afford to lose control of their own teams. One technique that almost always works when your team seems to be losing confidence is to challenge them! Creativity. Do not limit yourself to the approaches, technologies and methodologies that are familiar to you and your team. If you show the ability to think creatively from your early days, your rise to leadership will be faster and you will be more effective in the role. Constantly research new technologies, and focus on the needs you're helping to solve, rather than the nitty-gritty of project spec sheets. This will allow you to go beyond arbitrary limits and truly challenge the limitations of your team. Milestone-driven. In an ideal world, we would be able to create projects on our time. However within a highly competitive industry, team leaders are expected to deliver and respect agreed time frames and budgetary constraints. With increased responsibility, you will be directly accountable to clients and managers.. One way to accomplish this is to develop a deliverables mentality and culture. For example, you can start ending your emails with what you expect to accomplish and what others need to accomplish so that expectations are met. You might also look into implementing project management methodologies that have been popularized by hugely successful teams at companies like Google - for instance, using OKRs to make sure all the team is in sync. Vision. Finally, you should be the one who looks beyond the next few months and who comes up with ideas that are challenging and exciting. While being realistic is paramount, you could be the next leader to push the boundaries and accomplish more than what is expected. Having a vision is not enough, however. You also require clarity. Deeply understand your team's medium to long term goals and communicate them to everyone around you. Turn your work from a job into a mission, and you will motivate others and inspire them to act by following your lead. Combining all these traits together with your experience and know how will make you an invaluable asset to any project. Remember to never stop learning, even if you make it: all great leaders have mentors of their own. What non technical skills do local companies want in developers? Employers are looking for more than technical expertise when hiring programmers, analysts, software engineers, solution architects, development leads and software development managers. In today’s job market it is important to have other skills other than your HTML, CSS, .NET, C#, SQL, and Java. More and more companies are looking for skills such as business and system analysis, project management, knowledge of software development methodologies (Agile/SCRUM) and tech strategy. We have analysed a number of Malta software vacancies published in the past twelve months and noticed there is a trend of skills that many companies are looking for. Having these skills will of course make you the prime candidate when compared to the competition. Surprisingly years and years of experience are less important than you might think and if you have completed projects similar to what the employer has in mind than you are closer to getting hired. For this reason, depth of experience is not calculated in years but on completed projects. Flexibility is another skill that employers relish with companies preferring a full stack developer rather than a specialist. This is also reflected in the increase of an average yearly salary for an experienced full stack developer which pays around €35,000. The typical vacancy requests the ability to code in 3 to 5 different languages, so in order to compete having more than 3 coding languages under your belt is a must. The ability to migrate to mobile technology is also critical. As more business activity migrates from desktop and laptop computers to phones and tablets the IT workforce needs to be suited to build both functional mobile applications and manage the broad variety of hardware on which they are deployed. Next comes the ability to manage a team and a project, meaning that leadership qualities together with a strong project management expertise are a prized skill for many employers. Needless to say an employee who is capable of planning, organising, motivating, and marshalling resources to achieve goals and see projects through to completion is a gem! However, even if you are managing a team you should never go for more than a month without testing your coding abilities. You never know when a project will need your direct intervention, and you need to keep up to scratch. Of course , industry specific knowledge is still essential. If you want to work in Business Intelligence Systems, your skill set needs to go beyond the understanding of technology and also focus on an understanding of the user. Similarly when it comes to working in the financial industry, an understanding of ERP/accounting systems terminology and how they work is a must. Finally, Business Intelligence Analytics skills are becoming increasingly important. From big data to Google Analytics, understanding the key metrics behind the business and making smart choices based on your data are critical skills even for software engineers who will need to be flexible enough to adapt their approach according to what the data is indicating. After all, employers do not want a code monkey but a programming ninja. We have found that years of experience is less important than one imagines if you have completed a few projects that are very similiar to what the employer has in mind - and they always have something in mind, otherwise they would not be hiring. Depth of experience, therefore should be considered not in terms of years but projects completed, however this is obviously correlated. 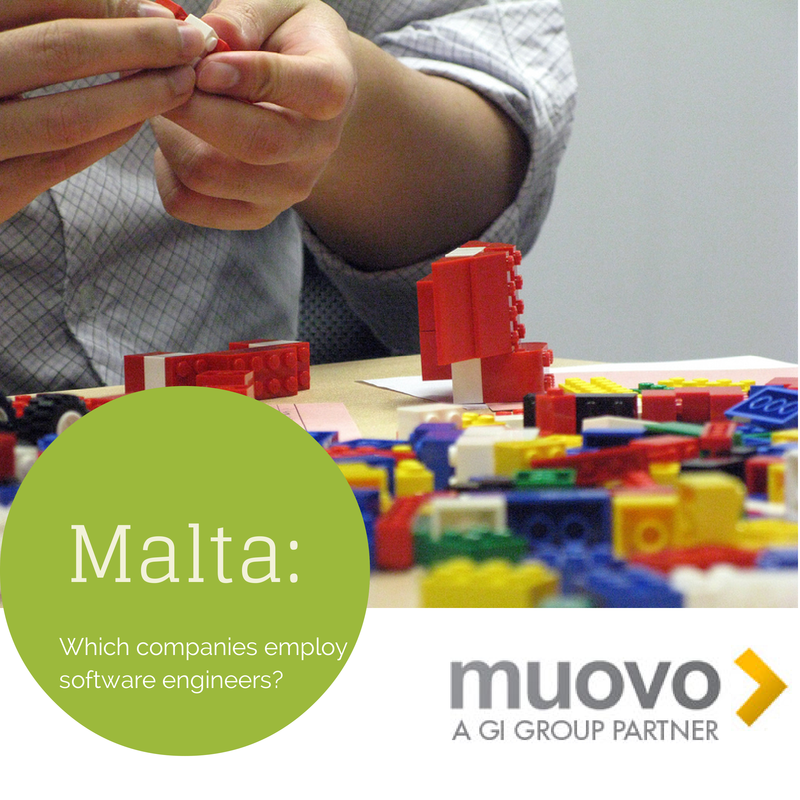 Malta: which companies employ software engineers? It's currently quite difficult for anyone aspiring for a career in software engineering in Malta to get the full understanding of who their potential employers actually are. Since the Muovo consultants work with these companies day in, day out, we decided to present this first-of-its-kind list of software and technology companies in Malta, sorted by the most popular industry. Betsson are an online gaming site that offers the products such as Sportsbetting, Casino, Scratch, Bingo and Poker. They are known for offering a dynamic work environment which is fuelled by creativity and are always looking for passionate people who are great at what they do. Betfair is known as the world’s largest internet betting exchange. With head offices in Hammersmith in London they are also have offices, and a gaming license in Malta. Betfair boasts to have more than 950,000 active customers. A European online gaming site created which was launched in Paris back in 2007 Betclic has a unique portfolio comprising of 5 diverse and complementary international brands: Betclic, bet-at-home.com, Everest, Expekt and Monte Carlo Casino. Having a multicultural work environment, the company are always on the look out for technical excellence and enthusiasm. Web, Software & Application Development. Uniblue is a PC optimization software company building software that provides effective and easy to use complemented by customer support you can rely on. A leading IT and software solutions company, 6pm deliver healthcare products, together with professional services and infrastructure to organisations in the bid to maximise efficiency. One of their main partners is the NHS in the UK. A web design and web development firm based in Malta developing web applications and results-oriented technology. From website design to e-marketing services to secure eCommerce applications ICON create bespoke solutions for SMEs. A company developing IT solutions for small to mid-sized businesses. Serving more than 200,000 companies GFI offers two main solutions: GFI MAX™ enables managed service providers to deliver superior services to their customers; GFI Cloud empowers companies with their own IT teams to manage and maintain their networks via the cloud. Alert is an IT consultancy firm specialising in business and commerce systems providing solutions such as Enterprise Resource Planning (ERP), Document Management Systems (DMS), Business Intelligence Solutions (BI), Customer Relationship Management Solutions (CRM) and Point of Sale Systems (POS). Bridging the gap between technology and business, Exigy provide the best-fit software solutions that will help clients reach their optimum performance. A world leader in global payment solutions, CCBill offers a comprehensive set of proprietary backend and Web-based administration systems to effectively process transactions. Each year they process more than 1 billion dollars in transactions. Specialising in Fund Administration and Securities Processing while at the same time promoting International Market Standard Practices Vermeg is a solutions specialist offering a broad range of systems modules all developed and implemented in an array of financial services firms. One of Malta’s local banks, APS has recently gone through a rending exercise and is looking to further expand its operations. Established in 1910, the bank has family values at its core as the majority shareholding is held by the Archdiocese of Malta and Gozo. A young and vibrant player in the electronic money domain offering E-Wallets and cards. Their products are aimed at providing the best operating and security conditions available. With a whole suite of services FORTYTWO Group offer corporate services, marketing, security and telecoms making sure their clients focus on their business while FORTYTWO Group takes care of the rest. One of the fastest growing developers of user-friendly backup solutions aimed at SMEs and a Microsoft BizSpark Partner with a special focus on data protection technology (CDP). One of the better known agencies iin Malta, BRNDWGN is an advertising agency providing out of the box solutions for their clients. One of the newest and fastest growing video game developers on the island. TRC’s mission is to create new ways for kids to connect, play, and share with family and friends in the digital world. The world’s largest commercial banknote printer and passport manufacturer which is based in Malta and is a trusted partner of governments, central banks and commercial organisations around the world. We think it is crucial for all software developers to understand the local opportunity landscape, giving them the opportunity to hone their skills appropriately. If you are interested in getting a more comprehensive overview of via email, feel free to get in touch with us. If you are curious about any of the companies featured here, our team can help you figure out who to talk to and how to make sure you know what they need from a prospective hire. You can also visit our site or read our previous article to get an idea of what software developer vacancies in Malta typically consist of. What are the essential skills of a software engineer ? In our last article, we tackled the question of what local industries software engineers should be looking at, specifically the difference between them. This week, we take a look at the other side of the equation: what technologies and skillsets do employers favour in their projects? An ever-present question in technological circles, “what is the best programming language” is best considered not solely by the merits of the code’s structure or ease of handling but also by considering the opportunities opened up by each language. Knowing what languages are currently on demand and being able to predict changes in the next few years means you will be better positioned to be competitive in the market. By looking at 37 software engineer vacancies published by local employers since January 2014 on Muovo.eu, Careerjet.com, the media and their corporate websites it is clear what the vast majority of employers are looking for. To verify our conclusions, we also gathered information from our network by interviewing 7 software developers employed across igaming, B2B and software companies. .NET (ASP.NET, C#, VB.NET) - Originally developed by microsoft for the .NET initiative, this group of object oriented programming languages tend to be requested together. C# is required by practically every employer who develops software components for deployment in distributed environments. ASP.NET is not strictly a programming language but a server side web application framework. With most software now being built as dynamic web apps, it is very much in demand. Mastering these is a good career move however keep in mind that it is a tough area to compete in: unless you have other unique skills you will not stand out. Java Confirming the continued popularity of object oriented programming, Java is also highly popular, which corresponds to our recent in Java vacancies. A highly flexible language designed to run on a broad variety of platforms, it is mostly demanded by clients in the telecoms and enterprise solutions (client server applications) industries. If you are interested in mobile development Java is a safe bet, as it powers a lot of development for the and the Android platform. Due to its flexibility demand is increasing, and as of 2014 there are slightly less developers who are experienced in the platform, so honing this skill makes you extremely attractive hire in the eyes of employers. SQL or structured query language is the next in line. Defined as a “special purpose language designed for managing data held in relational database management systems”, it is often required in combination with other skills and drives the majority of any data driven engineering. Combining SQL proficiency with UX knowledge is an interesting combination, and allows you to play a leading role as projects are moving towards simple interfaces which conceal high backend complexity. C, C++ For software engineers who want maximum transferable skills, C is an easy choice. Used on practically all platforms, it is one of the most widely used programming languages locally and has been around for a while, partly due being a precursor to other languages such as C++, Objective C and Python. The trend, however, is that development on pure C will slowly become marginalized as employers seek these later languages. Being object oritened, C++ has gained in popularity and will soon become a mainstay. Objective-C on the other hand is not so popular in Malta as it is mostly used today as the primary language in developing applications for Apple OSx and iOS. PHP is an open source server side scripting environment designed for web development, and another mainstay of igaming development. It remains high in demand, and Malta currently has a lack of software engineers who have mastered its complexity, which means that it commands a premium in salaries. RDBMS (Microsoft SQL Server, Oracle MySQL) Finally, knowledge and experience with databases is particularly useful and often requested. While differing in structure, knowing NoSQL as well will help cover certain weaknesses of RDBMS such as speed in certain areas, making the software engineer become more valuable to employers. As you can see, most software engineering jobs in Malta still revolve around the web and Microsoft Windows platforms, with Oracle/Linux following up and mobile (Android/ioS) opportunities lagging behind but increasing exponentially. There is a lot of focus on .net , c#, locally but PHP, Java etc might have higher growth . Compared to countries with similar economics such as Romania and Ukraine, Malta also has a low incidence of employers asking for Python, Ruby/Rails, Perl, Delphi, Scala and MongoDB, all of which are showing international growth. This is a reflection of the major pool of available talent. Since the University of Malta, private education institutions and MCAST tend to train people in the languages above, this is manifested in a bias for employers as well. However if you have the basics covered, we highly recommend setting yourself apart by mastering one of the high growth languages on the international scale which will inevitably come to Malta as well, as with such additional skills you can excel both during the initial interview and during employment. NEXT: What non technical skills do local companies want in developers?